We are an upscale hair, nail & waxing salon in Springfield, Virginia – easily reachable from Burke - offering a wide variety of specialty beauty services. Let the world-class stylists and colorists at Positive Image be your connection to today’s trendiest looks and traditional options. From common cuts to brilliant blowouts and world-class color (including Balayage) you deserve a professional, friendly environment to make it memorable. Life is busy and complex, but at Positive Image Salon we don’t think caring for your hair needs to be. We respect your desire to look your very best in every facet of your life, and we honor the fact that you might not have much time to spend maintaining your look. Positive Image Salon strives to offer every client a simple, individualistic approach to hair care through a well-structured, wearable style that fits your lifestyle and personality, is easy for you to recreate on a daily basis and looks great for weeks to come. We use only top-of-the-line coloring, hair care and styling tools along with techniques and carefully selected products that promote the health and beauty of your hair while protecting the environment. First and Foremost - We Listen. At Positive Image, we place the utmost importance in client consultation. Before we begin, our stylists take the time to speak thoroughly with each client about why they have come in to see us and what they would ideally like to gain from the experience. We take pride in our work and want each of our clients to feel at ease with the knowledge that when they leave Positive Image Salon, they will love the way they look. 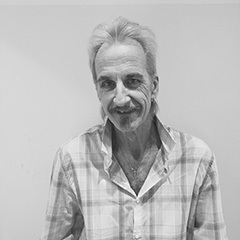 Donald is an owner of Positive Image and has been a stylist for 40 years. Cutting and color are a focus, but the people are what make the difference. Whether it’s the guests he has the privilege of working with or the tremendous Positive Image professionals, it puts a smile on his face every day. Thank you! 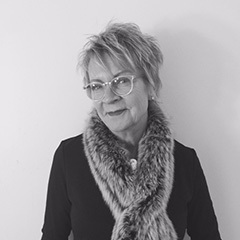 Riitta is originally from Helsinki, Finland, and she has been styling hair for the Northern Virginia area for over 40 years. As an owner of Positive Image, she has been successful in all areas of the industry, including 1st place winner in the styling competition Beauty on the Beach, O.C. Maryland. 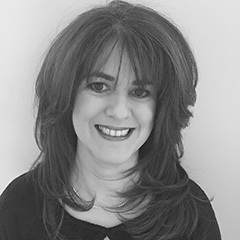 She is an accomplished cutter and colorist, and has a passion for the challenges of thinning hair. Riitta has always been committed to education and that continues today. Nancy has been designing hair in the Springfield area for nearly two decades. She cuts and colors with a focus on matching her client’s sense of fashion. 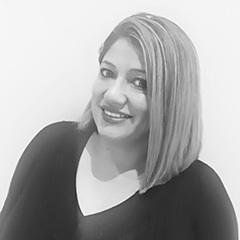 Nancy’s level of expertise, passion, attention to detail and her special touch leave all her clients loving their individual finished style. 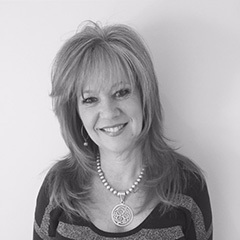 Nancy has been an educator for Wella and has also trained with Schwarzkopf, Deva Curl, J Bev, Kevin Murphy, Eufora, and Toni & Guy. 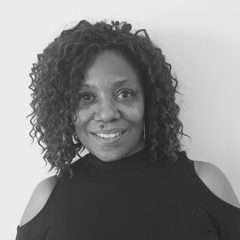 Helen has been a stylist in the beauty industry for 30 years and has also been an integral part of the Positive Image success story for many of those. She is a complete stylist and enjoys all aspects of the business. 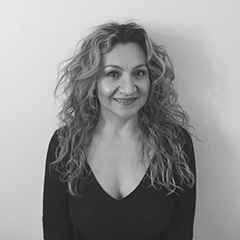 Helen has trained with Schwarzkopf, Toni & Guy, Deva Curl and many others. Her greatest reward is seeing the smile on her client’s face when she’s finished. Selivia has enjoyed the local hair industry for over 20 years. She is constantly evolving and growing with her clients. She loves precision haircutting and the challenge of difficult textures and is also certified in Brazilian Blowouts. Selivia is continually educating herself with the most current trends. Her keen eye and attention to detail have every client leaving the chair feeling like perfection. Julie’s versatility allows her to transform her clients into whatever they imagine. Her use of color, extensions, special occasion styling as well as makeup makes it all possible. Julie’s current passions are the ombre/balayage techniques. She has attended workshops such as Lala’s Updos, Mustafa, and is also Brazilian Blowout certified. 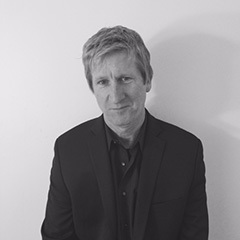 Charlie has been a force for the hair industry in Northern Virginia for several decades. He continues to delight his clients with his attention to creative detail and customer service. Charlie believes in blonde and blonder and has a catalogue of beautiful blonde clients to show off his passion. He has trained with the finest brands in the business and brings a unique approach to his craft! 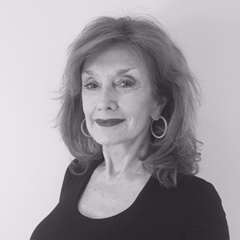 Marsha has been a successful stylist for almost 40 years. She continues to excel with and excite the guests she works with. Cutting and color are her greatest passions. She trains with many brands such as TIGI, Schwarzkopf, Kevin Murphy, Sebastian and others. Marsha has many long-time clients and would love to work with you as well! 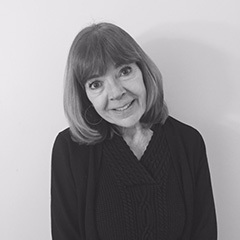 Patti has been styling hair in the Northern Virginia area for over 40 years. She is not simply a hair cutter but a complete stylist with skills that range from precision cutting to special occasion hair. Patti has a passion and understanding of razor cutting that really defines her. She has and continues to train with the best such as Nick Arroyo, Wella, Schwarzkopf, and many others. Patti has a smile on her face every day and loves the guests she works with! Cecilia has been a positive force at Positive Image for over 20 years. She has a very diverse clientele. Cecilia is comfortable with all hair types but gets to show off when working with challenging hair textures, as well as her clipper work. The transformations are amazing. She trains regularly with the top brands, including TIGI, Schwarzkopf, Kevin Murphy, Deva Curl, and many others. Cecilia looks forward to your transformation. 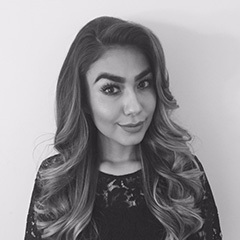 Evelin has trained locally as well as throughout the U.S. and has over 10 years of experience in the beauty industry. She is well versed in all aspects of the business and likes to use the Kevin Murphy product line to achieve the best looks for her clients. 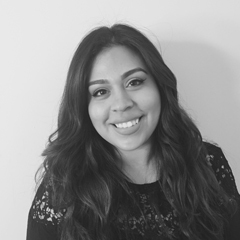 Evelin’s goal is to make each client as beautiful on the outside as they are on the inside. 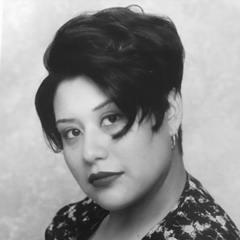 Fabiola has been involved in the hair industry for 17 years, having studied Toni & Guy, Deva Curl, and Wella techniques. She enjoys performing all types of hair services, and incorporates Kevin Murphy, Davines, and Eufora products to reach the style you want. 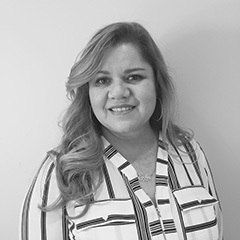 Fabiola is always striving to enhance her knowledge and techniques, and she can’t wait to help you achieve your beauty goal. Isabel is equally excited with today’s cuts and color as she is extending grace and kindness to elderly clients. Isabel brings a joy to her work that is appreciated by each and every client. She trains with top brands such as Eufora, Kevin Murphy, Ouidad and others. Isabel would love to share her ideas with you to achieve your best look! 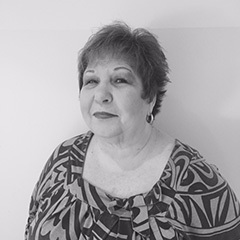 JoAnn has been styling hair in Northern Virginia for over 40 years. She is a complete stylist whether you are looking for the vintage looks of the classics or a designer cut for today. JoAnn values her relationships with her clients, as many times they extend the length of her career. The challenges and rewards of being a salon stylist continue to excite her! 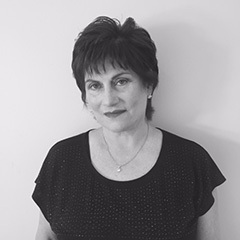 Terri has over 30 years of experience and loves being a stylist as she maintains many long-term relationships with her commitment to service. Terri utilizes a wide range of cutting techniques as well as current coloring and permanent waving options. Terri has studied with Nick Arroyo, Schwarzkopf, Kevin Murphy and others. Terri uses a variety of products, preferring Kevin Murphy overall to enhance the natural beauty of her guests. Rebeca is a stylist who brings an edge to today’s fashion. As a makeup artist and special occasion stylist, you’ll find Rebeca a tremendous resource. Whether you’re looking for a new cut or ideas to reinvent your current one, she will help navigate the path. Rebeca is committed to continuous training with brands such as Eufora, Kevin Murphy, Graham Webb, Mustafa and Laura Kaszoni (Lala’s Updos). 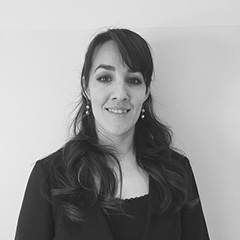 Monica prides herself on lasting relationships with her clients and looks forward to adding you to that list. Her extensive training with Schwarzkopf, Toni & Guy, J Bev and many others helps to shape the fashion-forward thinking she brings to her clients. Monica has been a cornerstone of the Positive Image experience for many years, and her bubbly personality and love of her craft shine through with all her guests. 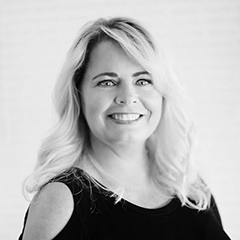 Sherri has over 30 years of experience in the beauty industry. She has completed advanced training with Sassoon, Brazilian Blowout, Deva Curl, Kevin Murphy, Schwarzkopf, and others. She is the total package as a stylist, with her passion being color and more specifically blonding. Sherri brings an excitement and intensity to all her work. At Positive Image Salon, we believe a haircut should be more than just a service–but an immersive experience for both men and women. It begins with a comprehensive consultation to determine the best style for you. Factors such as head shape, hair coverage, growth rate, seasonality, and personal style are all considered in this ever-important initial phase. From there, we visit the washing lounge, where guests are treated to a soothing scalp and neck massage while the shampoo and conditioner work their magic. With a clean head of hair (and relaxed client) in front of them, our world-class stylist can begin shaping your new look. Artful approach, confident precision, and designer results will affirm your decision to choose Positive Image each and every time. After a final rinse, blowdry and finishing product application, guests can expect to not only look their very best, but learn how to maintain that style at home as well. Whether you need a quick trim or complete transformation, make your next haircut your best haircut at Positive Image Salon. Our team is honored to share the joy of your special day on-site or in-salon. Bridal party packages are available as well. Whether you’re looking for grey coverage, blended touch-ups, natural color enhancements, or want to make a bold color statement, you’ve come to the right place! Positive Image Salon has been helping the men and women of Springfield put their most colorful self forward for decades. From fashion-forward looks to reversing the hands of time, it’s all about the hair. Let our world-class stylists bring your vision of self to life through expertly-applied tones, shades and color! Positive Image also offers ammonia-free options as well as personalized pigmented products to lengthen the duration of your hair color treatment. Positive Image Salon is proud to be one of Springfield’s premier Balayage specialists. This intricate vertical sweeping technique provides the ever-desirable effect of natural, perfectly sun-kissed gradation. Balayage is among our most requested services–and for good reason. The world-class stylists at Positive Image can achieve a full spectrum of highlight intensity, from subtly understated to brilliantly bold. In addition to the hand-painting process of Balayage, we also offer Ombre, Color Melting, and Babylights techniques as well. The gradual, natural color placement trend is here to stay. Let us help you achieve the look! *as per consultation. Please consult with your stylist before services are performed to confirm pricing. Additional fees may apply for a long hair of difficult hair textures. We are proud to use Schwarzkopf Professional for in-salon color! *Please consult with your technician before service is performed to confirm pricing. Here at Positive Image, we value and respect not only our clients' time but our stylists' time as well. We know life can be crazy and unexpected, but we do require at least 24 hours advanced notice from your scheduled appointment time for all cancellations. This way, other guests in need of our services can fill that time. If you have more than one “less than 24 hours cancellation” or “No call, No show,” we will require you to leave a deposit for 50% of the full price of the service cost to hold an appointment time in the future. The deposit will be applied to your service cost on the day of the appointment, or if you cancel before the 24-hour mark, it will be refunded to you. If you cancel with less than 24 hours advanced notice, your deposit will be forfeited to the stylist your appointment was with. If you find yourself running late, please call us and let us know, as we may still be able to accommodate you. However, if you are more than 15 minutes late, we will have to reschedule your appointment so the hair cutter does not run behind for their other clients. We take our clients' satisfaction very seriously. If you require an adjustment to your color or cut, please contact us within seven (7) days from the date of the service. Copyright ©2018 Positive Images Salon, Inc.